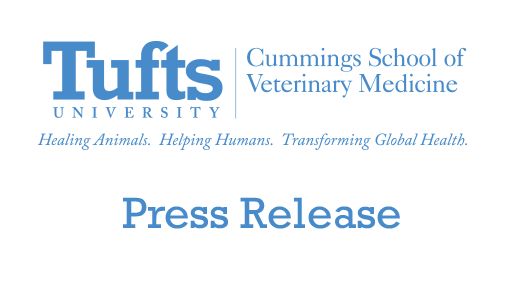 Students from the Cummings School of Veterinary Medicine at Tufts University will visit six Worcester Housing Authority complexes this Saturday, April 11, to administer rabies and distemper vaccines to cats and dogs as part of a year-round celebration of World Rabies Day. The events are open to residents only. Three teams of about twenty Cummings School representatives, led by second-year students Karen Ann Alroy and Amy C. Vlazny and Worcester Animal Rescue League Executive Director Doreen LaPorte, plan to vaccinate 200 dogs and cats Saturday. 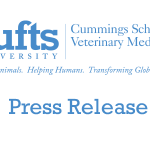 Each team—comprised of a team leader, Cummings School staff or faculty veterinarian (who, by state law, will supervise the rabies shots), a representative from the Worcester Housing Authority, and four student volunteers—will perform the clinics at two sites. We have roughly 200 vaccines in-hand, and our plan is to run out by the end of the day, said Alroy, who added that the free clinic was planned for the Worcester Housing Authority locations during the economic downturn and focuses on individuals who don’t typically have access to veterinary care. Alroy is a second-year student in the Cummings School’s combined DVM/Master’s of Public Health degree program. This especially benefits the elderly, who may be limited in how far they can stray from their homes, but who care deeply about their pets, added Vlazny. In addition to vaccinations, the groups are also offering veterinarian-supervised wellness checks, nail trimming, and cat grooming at most of the sites. The rabies vaccines were donated by Merial, and distemper vaccines were donated by Fort Dodge—partnerships forged through the Alliance for World Rabies. The Worcester Animal Rescue League has provided nearly all the other materials for the clinics, including towels and restraints, cat carriers, leashes, needles, and rabies tags. Tufts University’s Tisch College Civic Engagement Fund also provided funding to produce a graphic-based poster and handout for the clinics in several languages, including Vietnamese, Russian, and Spanish. The teams will perform morning clinics (10–11:30am) at 1050 Main Street, 425 Pleasant Street, and 11 Lake Avenue in Worcester, and afternoon clinics (1–2:30pm) at 40 Belmont Street, 275 Pleasant Street, and 50 Murray Ave. Interested residents should contact Ms. Lynn O’Toole at (508) 340-9097.